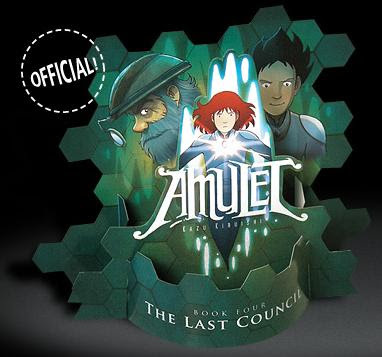 The Last Council is the fourth book in the Amulet comic series by Kazu Kibuishi. The series features a young girl named Emily and her younger brother named Navin whose family moves to their 'dead' great grandfather's house wherein a small door in the basement of the house leads to an alternate version of earth. The protagonists must go into the new world after a strange tentacled creature captures their mother.